The Feds inflation-fighting ability is key to avoiding another crisis, ex-Treasury secretary tells NYC conference. 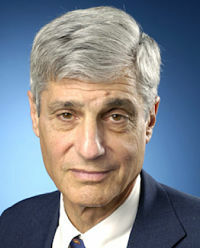 Former U.S. Treasury Secretary and Goldman Sachs and Citigroup veteran Robert Rubin warned that U.S. political discourse needs to change because the Federal Reserve’s current monetary policy has gone as far as it can go. Rubin spoke today at the TradeTech financial industry conference held in New York City.